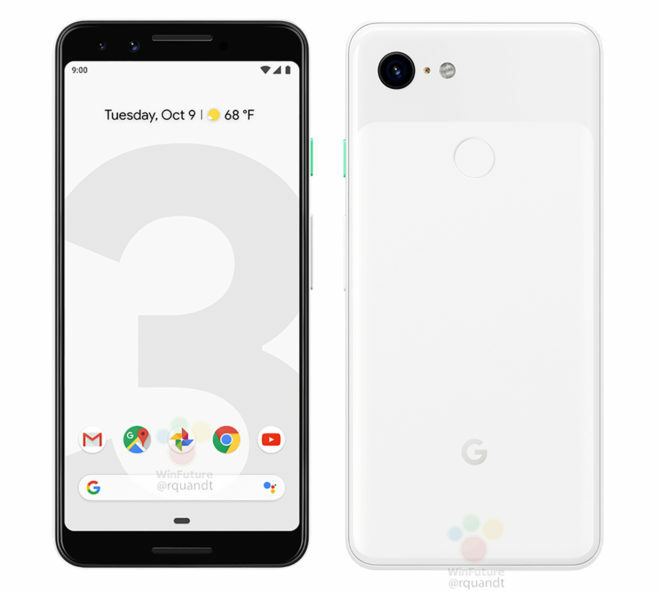 Google is all set to launch the new Google Pixel 3 and the Google Pixel 3 XL on 9th of October. 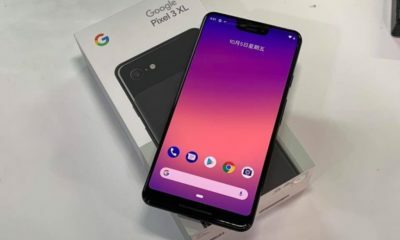 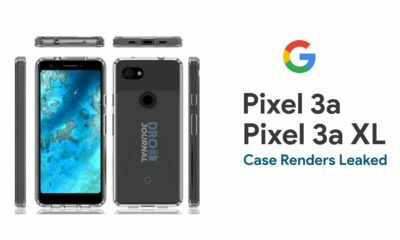 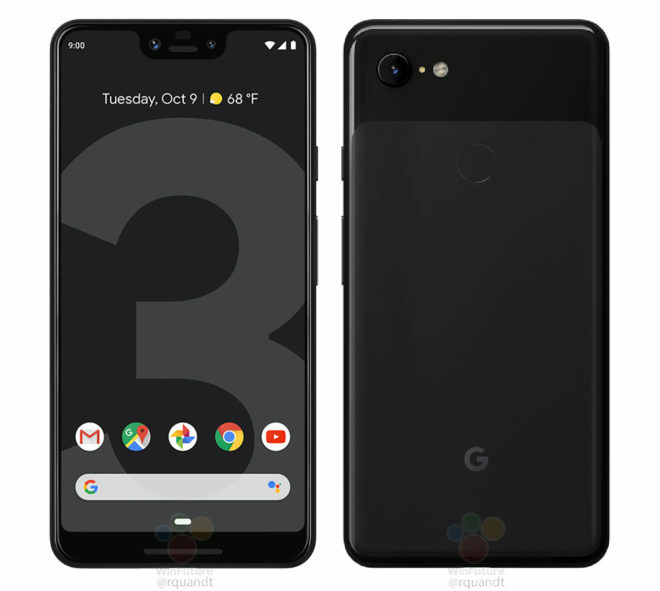 The company has recently teased the Pixel 3 and its colors on its official site and now, we have two official-looking renders of the Pixel 3 XL leaked across the web. 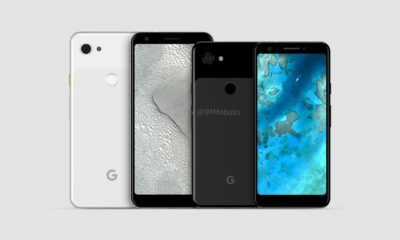 These new renders are leaked by @RolandQuandt on Twitter which looks near to what something the company will use for the phone’s intro. 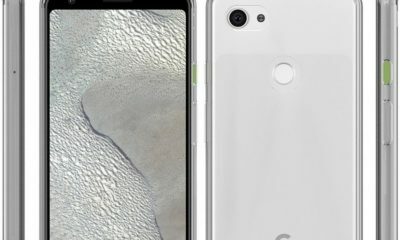 They also reveal a few key things about the upcoming Google Pixel 3 and Pixel 3 XL including confirmation of the previous leaks and reports. 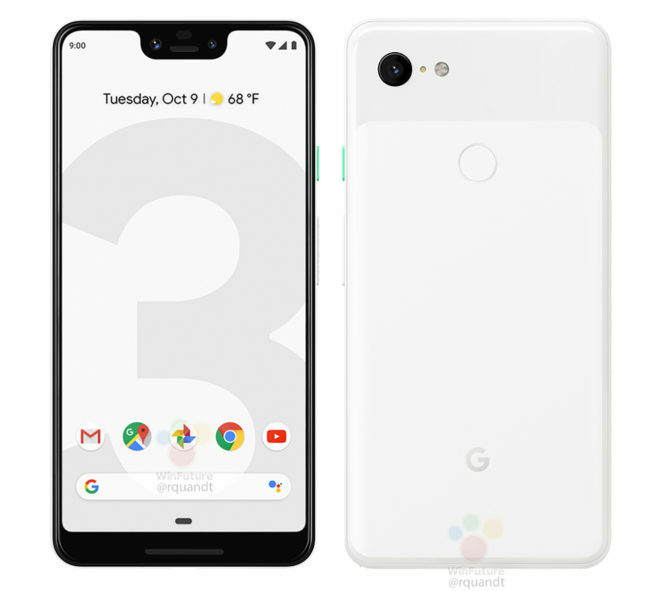 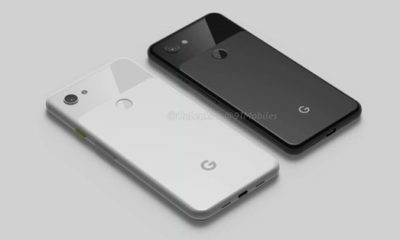 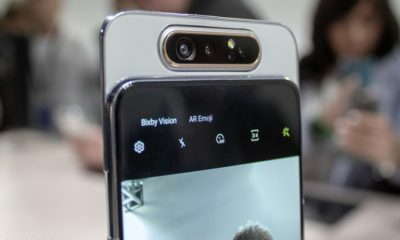 The variant with white colored body and mint accent power button will be common to both the models, unlike the Pixel 2 and 2 XL which had differences due to being manufactured by HTC and LG, respectively. 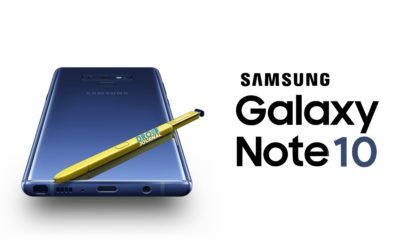 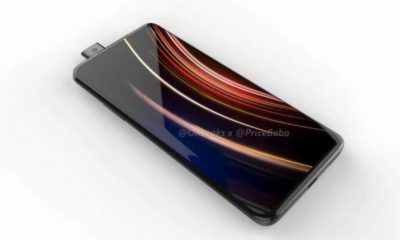 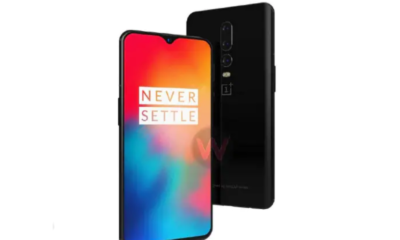 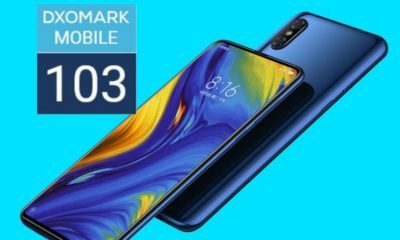 The larger 3 XL sports a Notch on the top which houses dual front cameras, an earpiece which will also double up as a secondary front firing speaker, followed by ambient light and proximity sensor. 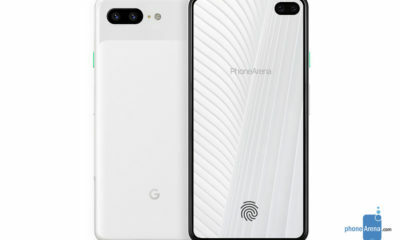 Same is the case with the smaller sibling, it packs dual front cameras but lacks the Notch- a thing disliked by many. 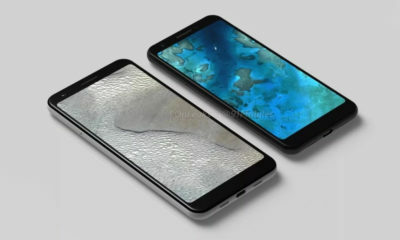 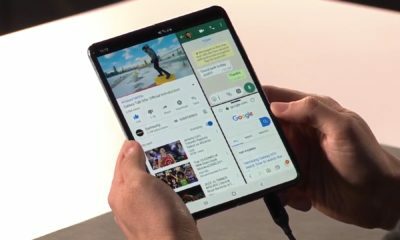 There is a 6.2-inch display with QuadHD+ resolution of 2880 x 1440 pixels on the XL, while the regular version will come with a 5.5-inch display with most probably the same resolution. 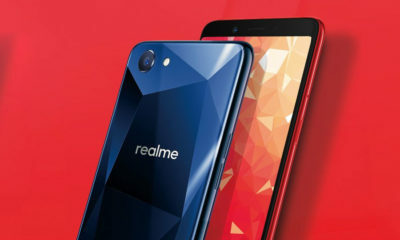 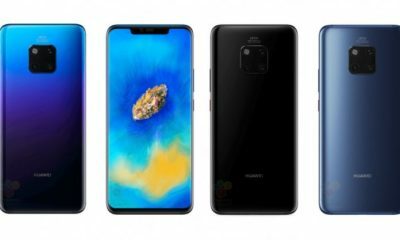 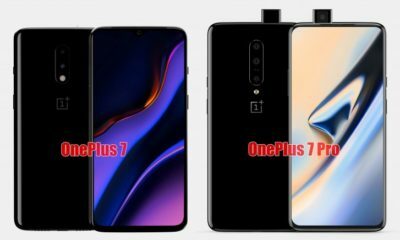 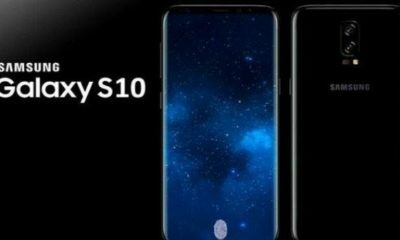 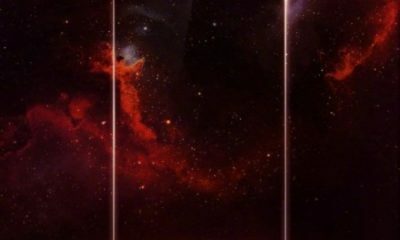 As far as the specifications are concerned, both of the upcoming flagships are reported to be powered by Qualcomm Snapdragon 845 SoC along with Adreno 630 GPU and 4GB of RAM in 64GB and 128GB variants. 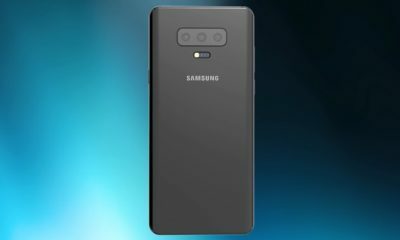 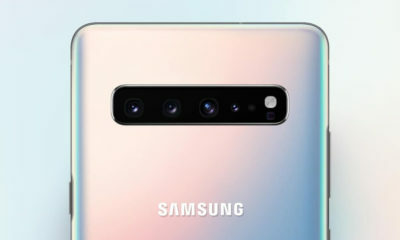 Another report confirms both the front cameras to bear 8MP resolution, the primary one will feature an aperture of f/1.8 while the second lens with the f/2.2 aperture will be an Ultra Wide angle lens for capturing wider selfies. 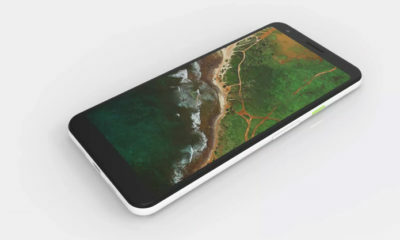 Moreover, the back will sport a single 12.2MP camera with a newer sensor and most probably an aperture of f/1.8. 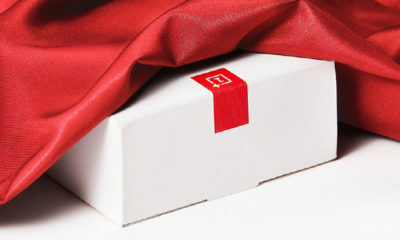 Let us wait for the official launch on October 9th, till then, stay tuned.